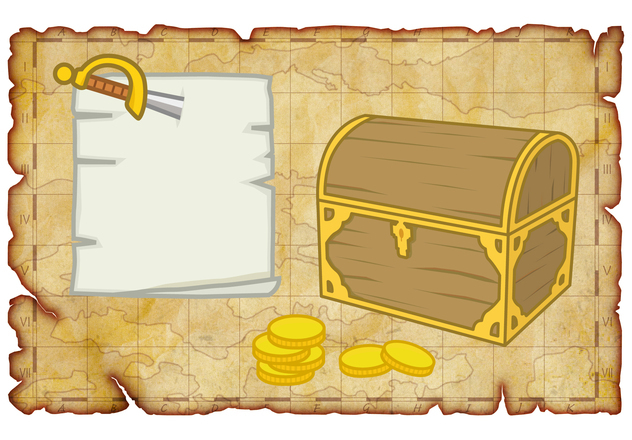 The treasure hunt ideas on this page are for finding two kinds of treasures. 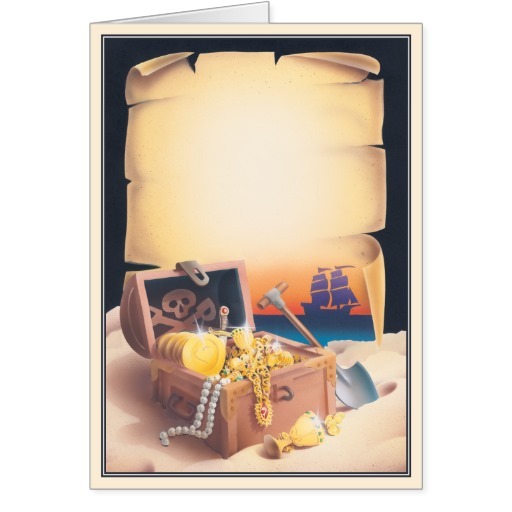 One is the real buried treasure kids will unearth, filled with shimmery, sparkling “real” items from lost worlds not found in every junk toy and candy aisle. (Yet they’re inexpensive). The other is the inner treasure found amidst group activities set up to make everyone feel individually valued while contributing towards a common group goal. The childhood imagination ignited by these treasure hunt ideas are also part of the inner treasure to be found. I had so much fun with these treasure hunt ideas with my own kids and their group of friends. What? You haven’t heard the story? 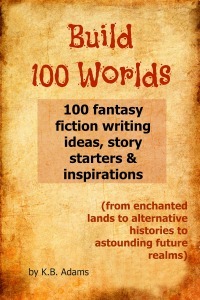 "Pirates captured a royal ship and stowed jewels, gems, golden nuggets, royal crowns, the sea captain’s journals, princesses’ diaries, the queens jewels, and other treasures of a lost world. The pirates buried the treasure and just as they were going back out to sea again, a storm brought their ship down and they were never heard from again. Legend says the pirates’ faithful parrots survived and remain with the treasure -- and the first clue to where this treasure can be found....(fill in the blank here)"
The first clue tells where the second clue is. The second tells where the third is, and so on until at last a final clue leads to the treasure. 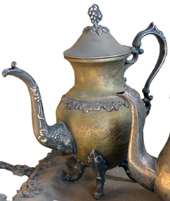 Ideally our treasure chest would be antique metal with a traditional arched lid. In a pinch, select a second-hand cardboard box from a grocery store, and choose antique metallic gift wrap from a gift and party store. Glue the gift wrap to the sides and lid of the box. Oriental Trading Company also has inexpensive cardboard treasure chests. An easy and clean way to bury a treasure is with dried leaves or dried lawn clippings. Make sure the leaves or clippings are spread around the area in various other piles, and try to find a natural indention to put the treasure in, so the buried treasure location isn’t an obvious large pile of leaves or grass standing alone. Want a treasure chest filled with real gemstones, sparkling and glittering gold, silver, jewels, and forgotten treasures from lost worlds? But one that doesn’t empty your own bank’s treasure? No junk item treasure hunt ideas here! 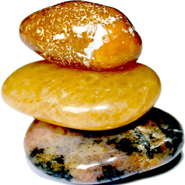 Polished stones. Boys and girls alike absolutely love intriguing, pretty rocks, and when polished they become beautiful gemstones for collecting and trading. Craft stores sell these by the pound or bag. They’re far more expensive when sold in smaller quantities in kids’ toy stores. Very popular for more authentic treasure hunt ideas. Pirate parrots. Thank goodness your explorers found the treasure just in time to rescue the pirates’ parrots that were clinging faithfully to the outside of the treasure since the ship wrecked. Your craft store should have remarkably inexpensive feathered tropical birds meant for floral decorations with wire on their feet. Kids can use the wire to help their new pet parrots ride on their shoulders or bicycles. Seashells. As the pirates filled their treasure chest with loot, they also added their most precious shells from their sea explorations. Shells are great treasure hunt ideas because they look irresistable when mixed with jewels and make the treasure sea-worthy. 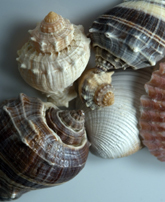 Children love to collect seashells. Craft stores also have beautiful shells in quantity. You can even find shell beads. Large loose beads and gold and silver beading string. Treasure hunt ideas often include jewels of some sort. Turn the idea into an added group activity after the hunt. The strung necklaces and bracelets of a lost treasure really sometimes come apart, and what a coincidence, kids’ love to “put them back together” with a post treasure hunt beading session. 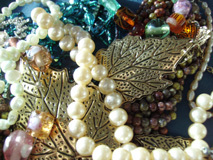 If the children are old enough to do beading, you can find large, pretty beads and gold and silver beading string for the treasure hunters to divide up and enjoy a creative beading session. Decorative chains. Boys and girls enjoy golden and silver chains for a variety of imaginative activities. Craft stores sell them for various decoration projects such as for hanging plants. Mardi Gras beads. A rainbow of gold, silver, purple, green and other colors of metallic beaded necklace ropes make any treasure chest look bejeweled. Kids love to put at least half a dozen on at a time. They're sold in bulk very inexpensively as they're used to toss out during parades and as store giveaways. Look for them in craft outlets, party stores or catalogs such as Oriental Trading Company. Shimmery gold pouches filled with edible golden nuggets. Treasure hunt ideas often include edibles. Here's something unique. The wedding department of the craft store usually has small shimmery golden drawstring pouches meant for wedding favors (make sure they’re food safe). Fill them with golden caramel corn nuggets. 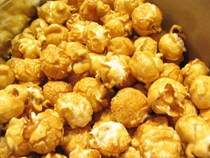 You can even find healthy recipes online using organic popcorn and sucanat for the sweetener. This is another of my favorite treasure hunt ideas. Okay, the following items *may* be in craft stores, but I’ll list surer locations as well. 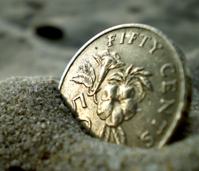 And these treasure hunt ideas can cost more, so may need to be left out, or may only be appropriate for, say, group activities with just 3 or 4 kids so you don't have to buy too many. Sea explorer’s journal with feather pens. For boys and girls. Surprisingly, it isn’t just girls who like their own secret diary, boys like them also when presented properly. For the treasure hunt ideas here, the captain was a great sea explorer before the pirates captured his ship. 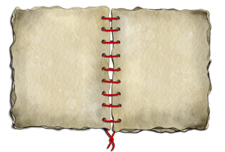 Some of his as-yet-to-be filled explorer’s journals were deposited into the treasure chest. Book stores carry large assortments of “masculine” leather-look and antique look journals. Stationary stores carry feather pens. 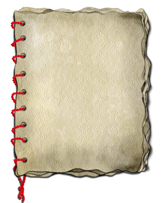 Print out “Captain’s Journal” on your computer in an old-fashioned font, and glue or tape it to the cover. You can also make your own similar to the photo here. 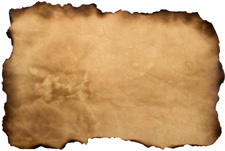 Paper stores carry old-look or leather-look paper and card stock for the cover and parchment paper for the inside. Captured Princess diaries with feather pens. Girls also love journals and diaries just for females. The princess captured by the pirates also had some of her diaries deposited into the treasure chest. Book stores carry many “princess-like” diaries for young girls. Princess crowns. The king’s treasure was being transported by the ship before the pirates took over, and they stole many princess tiaras. Coincidentally, they stole the exact same amount of tiaras as there are girls in your group of kids. While tiaras are more common among items for treasure hunt ideas and can be found quite cheaply as party favors, you may prefer to find somewhat affordable but better quality ones through a costume outlet, online or local. Stolen, of course, from long-ago rich landlovers. Costume quality old-fashioned keychains and golden watches on chains (non-functional) can be found through costume outlets. Queen’s jewels. Fabric stores are full of gorgeous gold, silver, diamond, pearl and other antique jewel-look buttons and fabric ornaments, which kids also enjoy collecting, trading, and stringing like beads or affixing to their clothing or accessories with fabric glue. 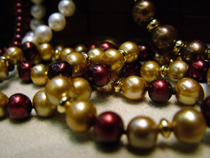 Girls also love lengths of strings of pearls that fabric stores sell as trim. They can use them in their own hair or craft projects. Treasure coins. What's a treasure hunt, without coins? Perhaps even real precious metal ones. For the most authentic replica treasure coins, The Great American Coin Company® sells pirate coins for a little more than 50 cents per piece when you buy at least 50 (about 28 dollars for 50 at this writing). If kids are young enough to appreciate mere pennies, pour in some brand new shiny ones that can be equally divided. If you can afford it or can plan ahead, real one-dollar USA gold coins are beautiful treasure items. The problem may be finding just, say, two or three per child. The last time I asked my bank about the $1 gold coins, the teller had about nine she was happy to give me for $9 paper dollars. But another time I asked, they didn't have any and said you had to buy them in bulk in 500 piece chunks. (So, $500). Silver half-dollars are also fun because they’re not seen often and so seem like a novelty, and like the USA gold coins, the kids can eventually spend them. Make your own metal pirate coins. Spray paint metallic gold onto washers of different sizes, including some with bondo centers. Make your own edible treasure coins. If you have more patience than three of me combined, snuggly cover a bunch of round flat-ish ginger snaps or vanilla wafers with gold and silver foil candy wrappers found in party, kitchen and craft shops. 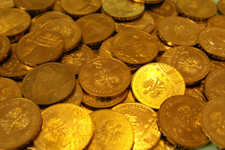 Oriental Trading Company has very inexpensive attractive gold plastic treasure coins. Palace housewares. One kingdom was trading some of their finest royal housewares to another kingdom on the ship before the treasure was lost. And now, the treasure chest also holds some of the finest china, perfume jars and ancient antique vases you’ll ever find. 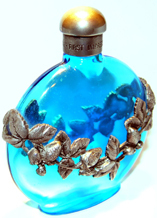 Find mismatched china cups, exotic looking vases and old perfume jars at second hand stores. For something unbreakable, interesting old metal keys, matchless old decorative silver spoons or ornate silver creamers or tea pots make fascinating and unexpected treasures for kids. Decide what will be inside the treasure, then rewrite the story above to include those treasures. Put the first story-clue in a glass bottle with a cork to be pulled out and read by the oldest child. Even kids from a same-grade classroom will all be different ages by months, weeks or days. It’s less tempting for older kids to fall for bullying when their elderhood is put to good use, like being the leader in reading the first clue. Naturally, items purchased at adult craft and second hand stores must be safe for children. Also, new information on problem lead contained in various items is updated regularly on the news. Do a current online search for items to watch out for, and make sure what you’re offering is safe. You may also want to consult other parents for their feedback. Also make sure you understand age appropriate safety before facilitating your own kids’ treasure hunt. 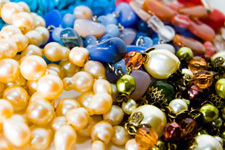 Age related safety rules include, but are not limited to, the fact that small objects such as beads should never be given to children three and under, but may be considered fine for older kids. Lots of treasure hunt invitations here! Our favorite treasure hunt invitation (above) here!